Provide hours of fun at your next party with our new classic bouncer and slide combo! 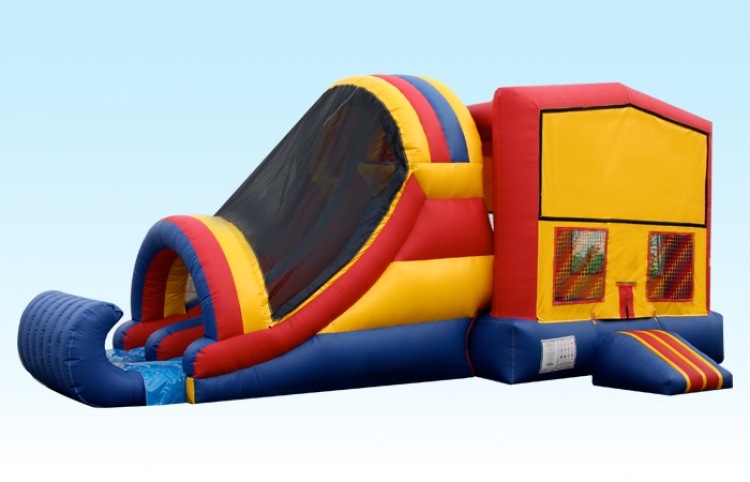 Complete with both a traditional bounce area and a huge slide, this unit is sure to bring a smile to the faces of kids of all ages! Don't forget to add a theme panel.